Absolutely essential safety devices that must be fitted to all Oxy/Fuel gas equipment to ensure H&SE compliance, and the operators own peace of mind. 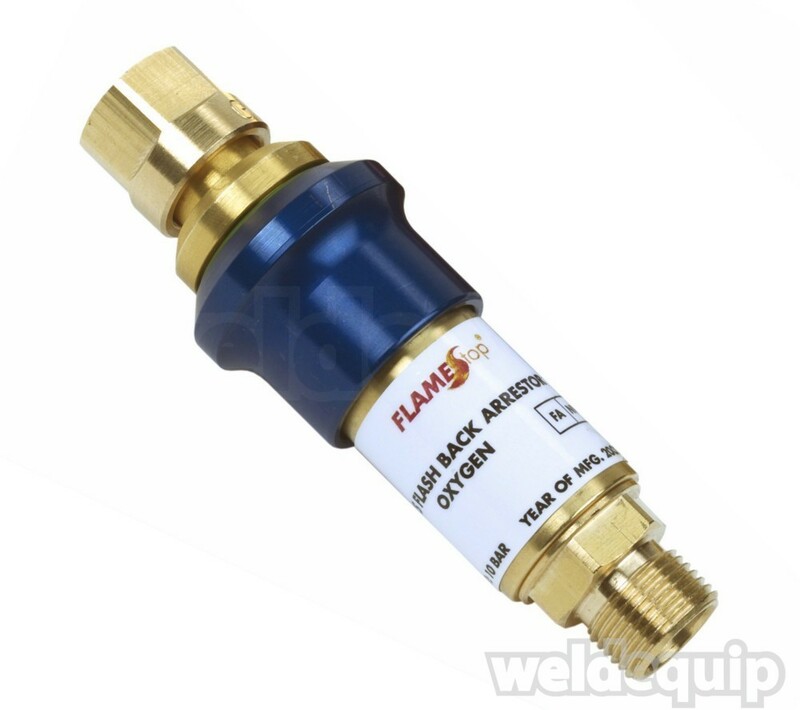 The Flamestop ® Type RS is a fully re-settable Flashback Arrestor offering maximum levels of safety & longevity. 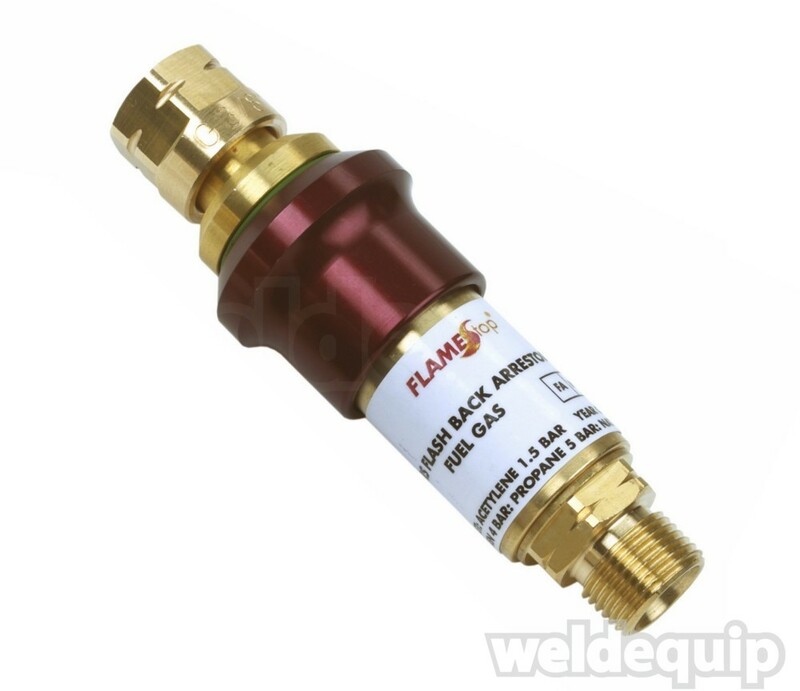 In the event of a flashback you simply disconnect the devise from the regulator & click the activated sleeve back in to place. Once re-connected the Type RS again offers full flashback protection. Re-settable Arrestors can also be annually tested - in accordance with BCGA codes of practice - to make sure they are working properly; the 'Inline' types cannot. 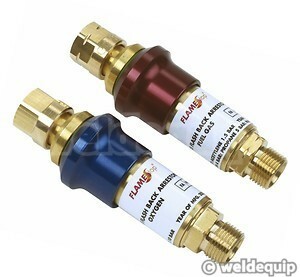 3/8" Bsp gas regulator fitting and 3/8" Bsp gas hose fitting. Fuel gas models are suitable for use with acetylene, propane, hydrogen & natural gases. Oxygen models can also be used with high pressure air. Designed & manufactured in the UK to comply with international safety standard EN 730 and independently tested by H&SE (UK), BAM (Germany) and UL (USA).